To celebrate spring, we have been busy crafting bouquets of DIY flower accessories! I love this retro pin and hair clip set and have worn them several times since their creation! 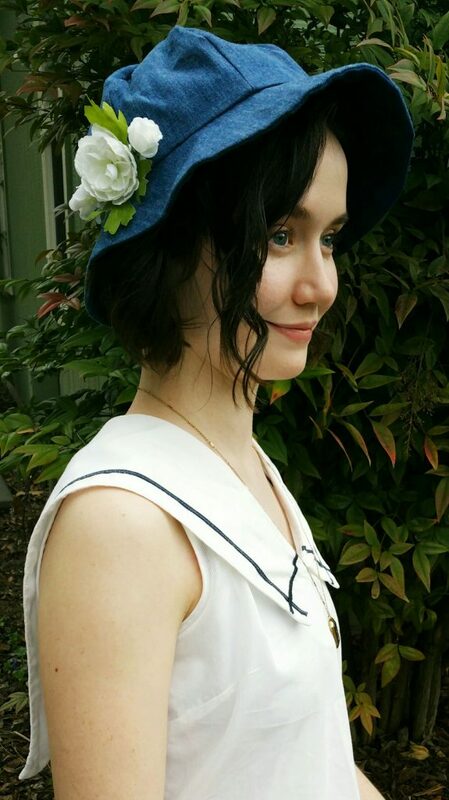 The pin was the perfect accent to the vintage hats I posted here and here! 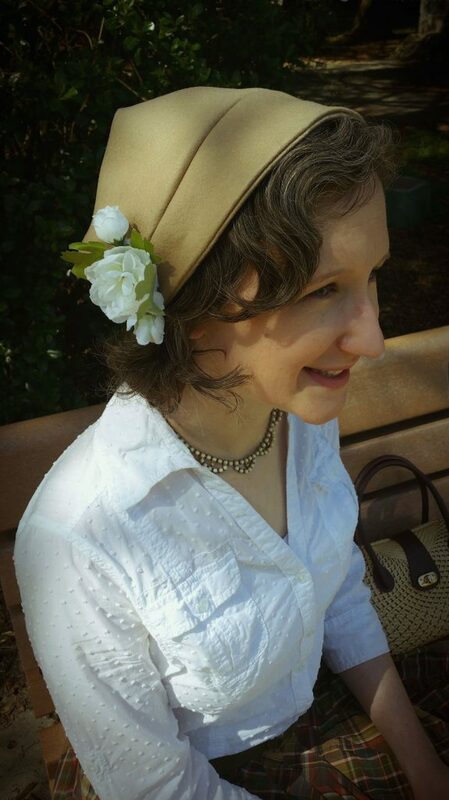 Lindee then wore the hair clip for her 1950s-inspired outfit for this post! A few supplies and some simple tips are all you need to transform craft store silk flowers into springy accessories! Let’s start with the supplies you will need! Silk flowers often have plastic support structures that hold the petals upright on the stem. These supports often make the flower too rigid for use in accessories. The solution? Removed the green plastic base from the bloom and unstack the petals. 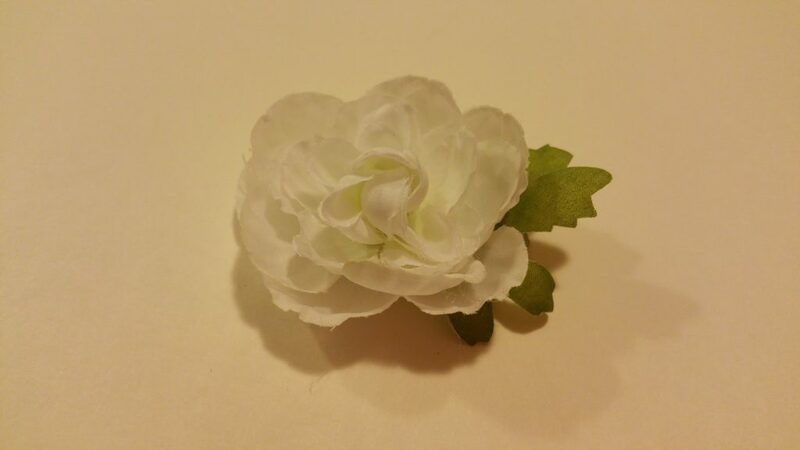 Removed extra plastic pieces holding the flower together. (For this project, I did leave the plastic cage around the tiniest petals.) Re-stack the petals in size order, applying hot glue between the layers. Your re-formed bloom should then be less rigid and “poofy” on the finished accessory. The next step is to peel the leaves off of their stems. 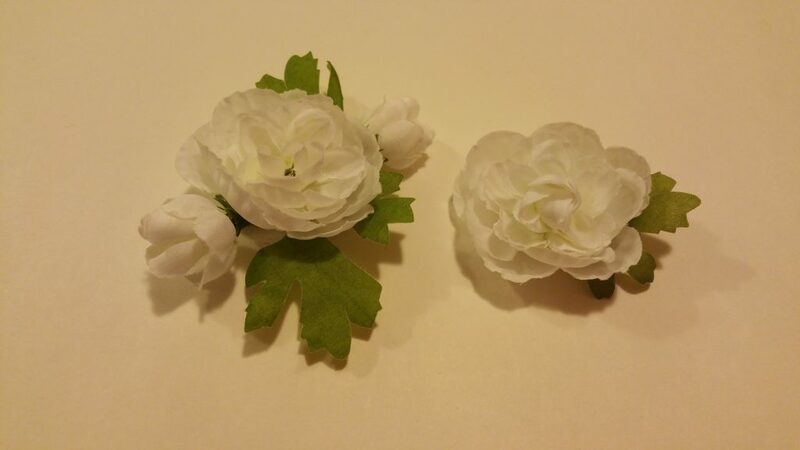 To make the hair clip, I cut a small piece of felt slightly larger than my hair clip. I used hot glue to attach the felt to the clip, covering the metal. 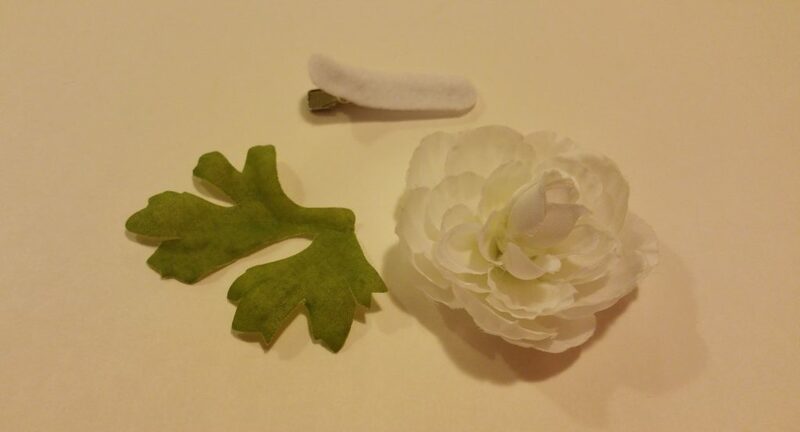 The only thing left to do was glue the leaf and then the flower to the felt-covered clip! Time to layer on some foliage! Once the blooms were in place, I glued the pin backing to the underside of the felt base. I then attached a felt strap over the backing to doubly secure it. 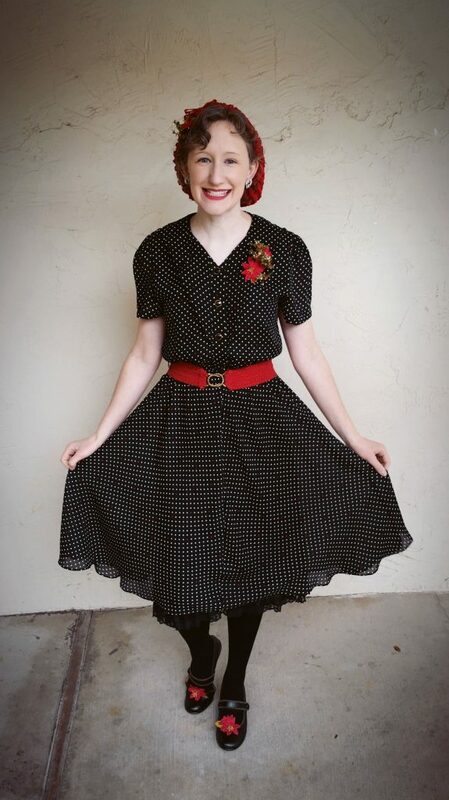 Lindee proved me right as she styled the hair clip with her 1950’s outfit! I love how the flower clip ties in the white accents of the dress and pearls! A big thank you to the fabulous Ms. Lindsey for sending us this dress!! For a holiday look, check out this similar tutorial for making a pin, hair clip, AND shoe clips! More blooms will be sprouting up in our next post as we experiment with decorating bobby pins! Stay tuned.